Baekdal.com is now available for the iPhone on a special site named baekdal.mobi. The new site is optimized to give you the best browser experience using an iPhone. Baekdal.mobi is not just a trimmed down version of Baekdal.com with the latest 25 articles (like most mobile sites). It is the full site with every section and every article in it. And you get exactly the same level of content. You can watch all the images and all the videos. You can read or post comments. You can do all the things that you can do on the main site. There is also a number of big changes to the overall layout. 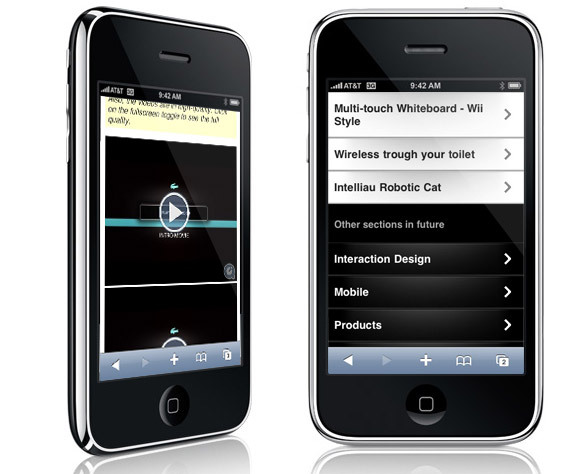 It is designed for the smaller iPhone display (which is actually quite big compared to other mobile phones) and the interaction takes advantage of common iPhone interface concepts. 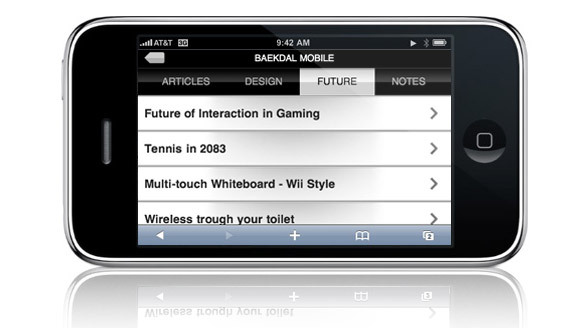 Baekdal.mobi looks much more like something you would expect from an iPhone web application. 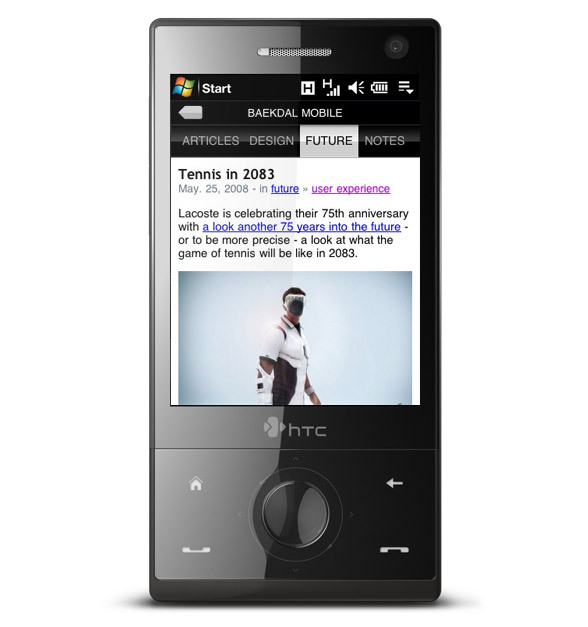 But the mobile site is more than just the main site in a different format. It is optimized for 3G. The images are automatically scaled to fit your screen. Instead of downloading a 40KB image, the mobile site downscale the image to about 8KB. This is important if you are using 3G and don't have a flat-rate data plan (e.g. which I don't). The videos have also been converted to an iPhone friendly format, and embedded into the page to take full advantage of the iPhone video player. Still, keep in mind that Baekdal.com (and also baekdal.mobi) is visual rather than textual. I rely heavily on images and videos in my articles. Baekdal.mobi will give you a smaller version than the one on the desktop, but it is still a very big site in terms of bandwidth. Keep this in mind if you are using 3G and don't have a flat-rate data plan. 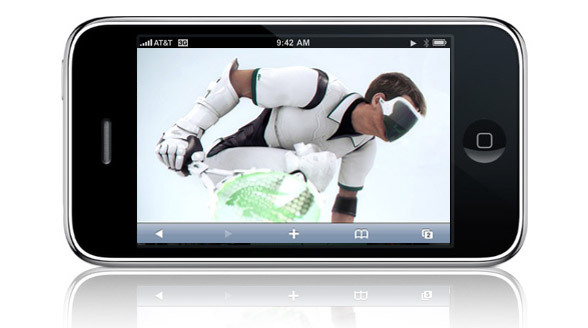 Watching videos, even those optimized for the iPhone, can be expensive. But luckily your iPhone also got Wi-Fi, and then it is no problem at all. It is not designed for older mobile browsers, like the one you got on a blackberry, Internet Explorer on Windows Mobile or any of the current browsers on Symbian based phones. But luckily these will soon be a thing of the past. Take a look at baekdal.mobi and tell me what you think.